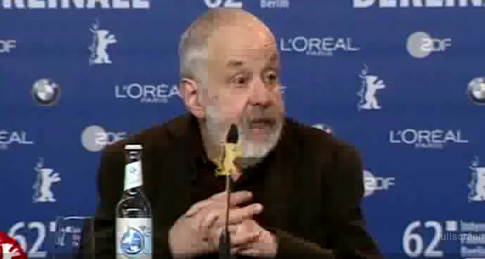 “They’re a very well-behaved jury, if I may so,” Berlinale jury president Mike Leigh said at a press conference yesterday that kicked off the 62nd edition of the film festival. Leigh is presiding over a impressive group of fellow jury members including filmmakers Francois Ozon, Anton Corbijn and Asghar Farhadi (whose “A Separation” won Berlin’s top prize last year), writer Boualem Sansai, and actors Charlotte Gainsbourg, Jake Gyllenhaal and Barbara Sukowa. 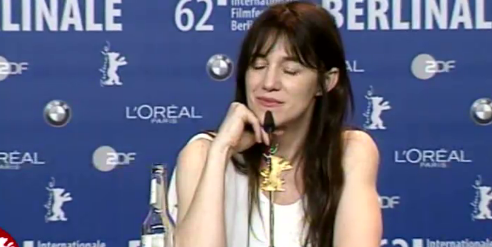 When asked what sets it apart from the rest of the film festival world, Leigh spoke very warmly of the Berlinale, which has screened many of his films (“Happy-Go-Lucky” had its world premiere here a few years back, for example). Leigh reminisced about the festival’s past, noting what it was like when the Berlin Wall was still up. “I think I’m just going to let the president of the jury speak for me,” Gyllenhaal responded after Leigh piped in noting there was absolutely no reason why he should feel any different than the other jurors. “I would say that I was incredibly excited because I’ve been a huge fan of everyone here and the movies they’ve made, but particularly Mike Leigh since I was a young boy. I just love his films and when I knew that he was the president it was very exciting to think about being in a room with a number of artists and being able to talk about film and listening to their opinion. I consider it a great privilege and honor to be part of something like that. One journalist asked whether a film’s political and social merit was important to the jury members in terms of whether or not they were reward it.